It's getting to that point of the year where ultra races turn from frostbitten survival endeavours for lonely half human-half gore tex wolves whose biggest competitor is the weather presenter to hot smoking competitive battles between split shorts and course record chasers in the sun. Talking about course records you might remember how in last weeks preview I predicted at least one of them to be obliterated over the weekend and blessed be my foresightful brain as that what just what happened on ye olde downs of southern Engerland this Saturday. In her longest trail outing to date the 2:39 marathoner Julia Davis took control of the race from the gun with what turned out to be an impeccably tuned pace. She ran consistently under the course record and in an outright top 5 position from the start in Worthing to the last 400 m around the track in Eastbourne. By the time she crossed the finish line 6:54:26 she had knocked nearly ten minutes of Sarah Morwood's old course record in her first 50 miler. The course of South Downs Way is a flat one without any technical challenges so very suitable for the speedy side of the field but having seen Julia tackle on the fells of Snowdon with ease I think that this Maverick Trail Division Athlete is a name to remember both on and off the roads in the future. As solid with her pacing and positioning as Julia was second lady Amy Sarkies, she ran a strong race throughout the day and her finishing time of 7:22 saw her break the FV40 record and land her the 6th fastest time in the course's history. Not far behind her Rachel Fawcett and Charmaine Horsfall were busy battling it out for third with an exciting second half where Horsfall forged her way up the field and overtook not only Fawcett but a tenfold of male runners on her way to a podium finish and 10th position OA. Following on with news of another stellar ultra debut performance courtesy of the Maverick Trail Division stable. The speedy legs of Elyse Paulson (instagram.com/e.runs.this) dominated the women’s race of this flat 32 mile race along the coast of Glamorgan and finished not only first female but 4th runner OA in 04:44:27. Second lady to reach the finish, half an hour behind Paulson was Emma Williams and rounding out the podium was Shan Ones in 05:24. Ventured very south to race the @endurancelife Exmoor ultra today. Turns out there are lots of hills down here! 6300ft elevation over 32 miles on an amazing trail through forests and along the coast in the sun. Great training for @transvulcania next month! I could come back. 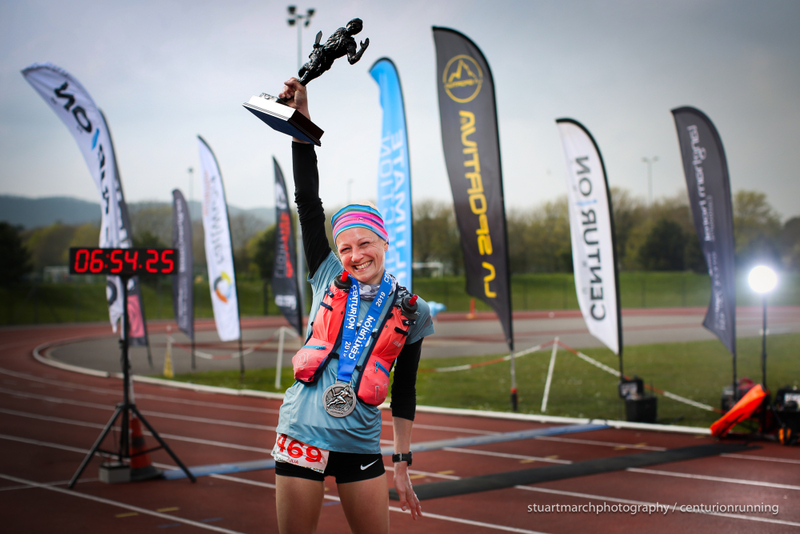 On the steeper side of the British coast line the third annual event in the Coastal Trail Series was taking place and just like in Wales and on the South Downs there was some strong female running in the OA top 5. Last years Highland Fling champion Rachel Normand (.instagram.com/powderach/) is used to the up and downs of her Scottish home trails and flew unchallenged as first lady over the rugged trails of the Exmoor seaside. She landed in a position of 4th runner OA in 5:10:38, smashing the previous course record by nearly two hours. Rachel will be starting in her first big international race at Transvulcania later this spring and i'm very curious to see how she fares against the mountain elites! Behind Normand Sophie Mckeeman took second just six minutes ahead of Becky Raftery in third. Away from the sea in the largest forest of England Michelle Hetherington and Nicola Duncan crushed all competition on their respective 100 k and 50 k long courses. Both had nearly an hour down to second lady as they came into the finish line at Kielder Castle this weekend. UTMB continues their crusade to spread the love of their ultra mountain race concept around the world, this weekend it was Patagonias turn to be treated to a weekend of four races ranging from 35 to 130 km. Multiple OG UTMB champ Rory Bosio showed good form by winning the womens race on the longest course and placing 9th OA with three and a half hours down to next lady and local runner Paola Jorgelina. Other big international races to look forward to this weekend is the next chapter of the UTWT series taking place at the Croatian 100 MILES OF ISTRIA and its also time for last years host of the World Trail Championships PENYAGOLOSA. The MARATHON DES SABLES continues, currently in the lead after three stages is our preface favourite Ragna Debats followed by Aziza Raji and Laurence Klein. We will be back with the end results for next weeks round up! And to fill your remaining days until its the weekend here is an interesting article by coach and speedy trail runner David Roche on the effects of Alcohol on Athletic Performance.